We produced videos and other media for Gillette over a 15-year period. "This is Gillette" had numerous audiences - public and investor relations, employee orientation, and more. While Gillette remained headquartered in Boston, we had multiple clients including Corporate PR for whom we produced the Annual Meeting of Shareholders. Most of our work had global audiences that frequently included delivery in multiple languages. 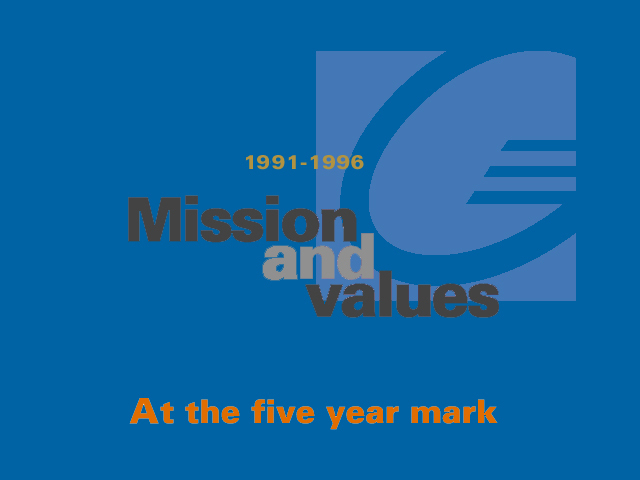 "50 Years of Gillette TV Advertising"
Produced for the 1994 Annual Meeting of Shareholders and shown as a special feature, this video was subsequently re-purposed extensively for corporate events around the world. We digitized literally hundreds of spots from the Gillette video archive. I wanted to take a moment to thank you for your unwavering support of the past eight years and for your contributions that have played a key role in making Al Zeien, The Gillette Company, and me highly successful. Your personal quest for perfection has been highly visible in the video products you have created for the Company. Your ability to bring out the personalities of our top executives and to creatively illustrate complex concepts has enabled us to deliver highly diversified messages to all of our targeted audiences both inside and outside the Company. Above all, we appreciate the professional advice you have provided over the years. Just knowing that we can rely on your judgment and support is a secure feeling in today's hectic business world. We, as a team, have been able to deliver world-class products despite the urgency, circumstances or budget. Thanks for always being there when we needed you.